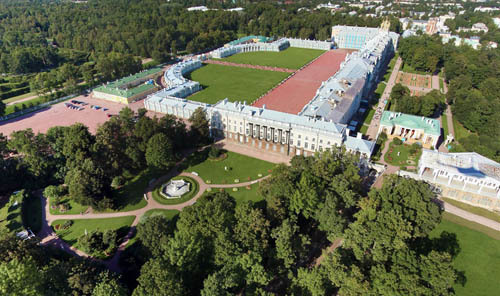 Great Catherine Palace with its surrounding parks, as well as a century ago, is stable brand which form the image of the city Pushkin (Tsarskoe Selo). 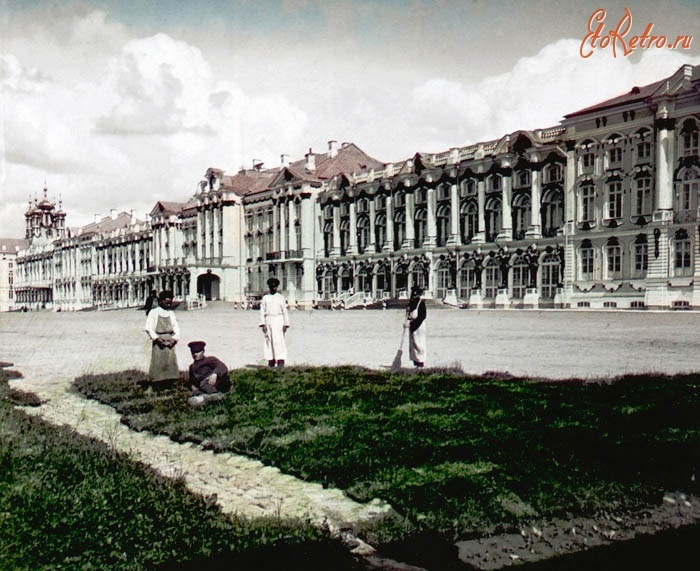 The main facade is oriented towards Alexander Park, the opposite is facing south and is in the Catherine Park. From the city clearly visible Church and the Grand (Imperial Lyceum) outbuildings, and Zubovsky case and Cameron Thermae facing the garden. 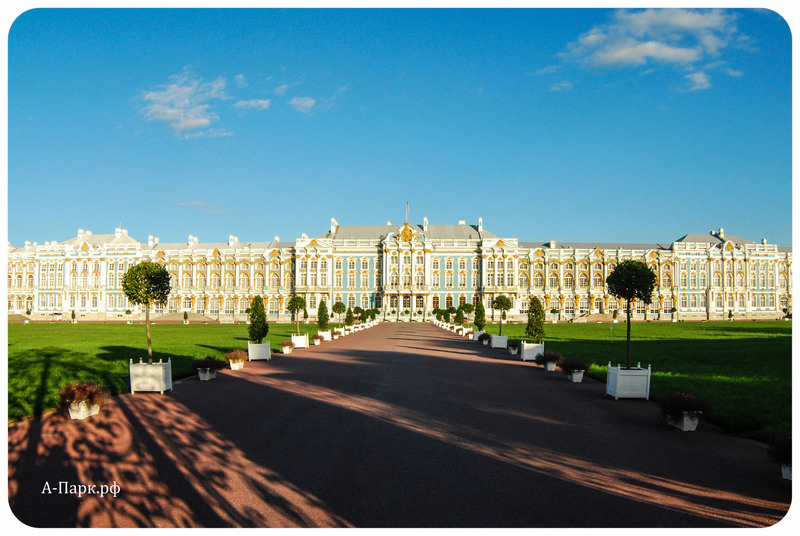 Hit the scale of the Catherine Palace, the length of its main facade is 280 meters. 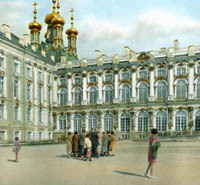 He is one of the largest historical buildings of St. Petersburg. The Palace was built not on an empty place. 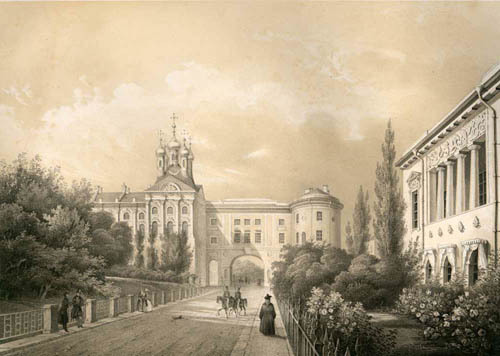 On the place of the arch, connecting the present Church wing with a Lyceum, in the beginning of the 18th century there was the old manor house, owned unknown Swedish feudal lords. 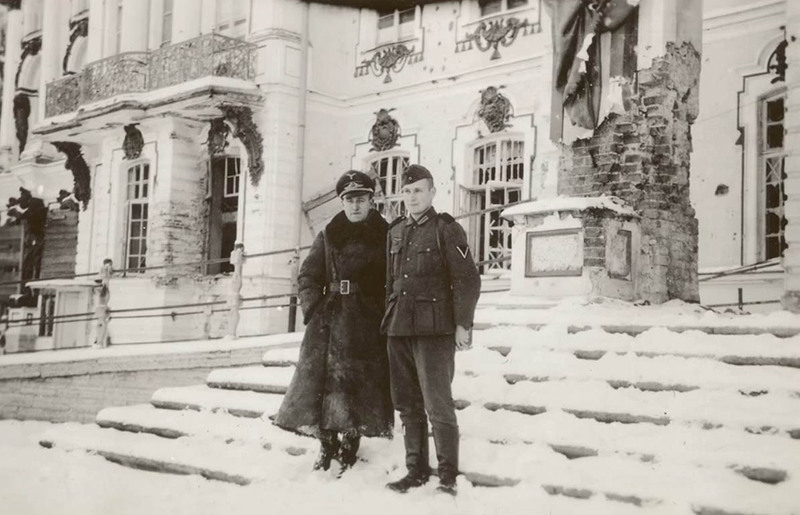 Ekaterina I, which Peter I gave Tsarskoe Selo (then called Sarskaya Grange), were guests in the house, of course restored and furnished. 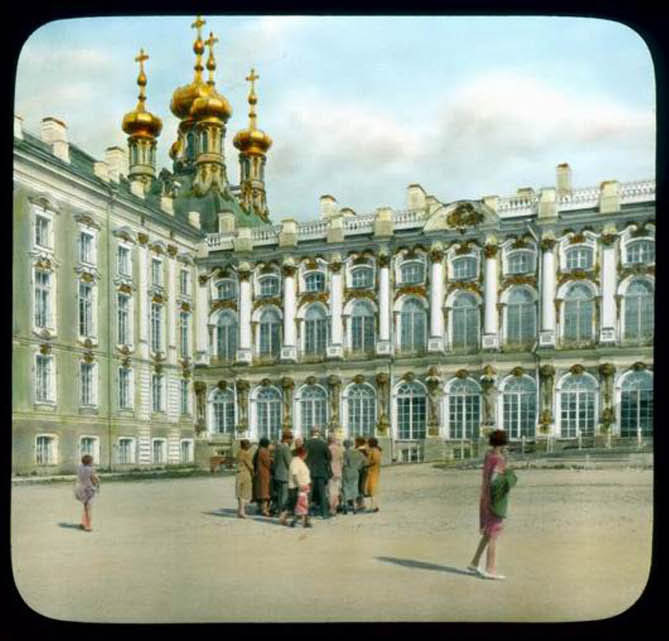 Initially, in 1717-1723's., for Catherine I , the architect Braunstein was erected in the middle of the Palace. The modest two-storey building with sixteen rooms was then called «the stone chambers. 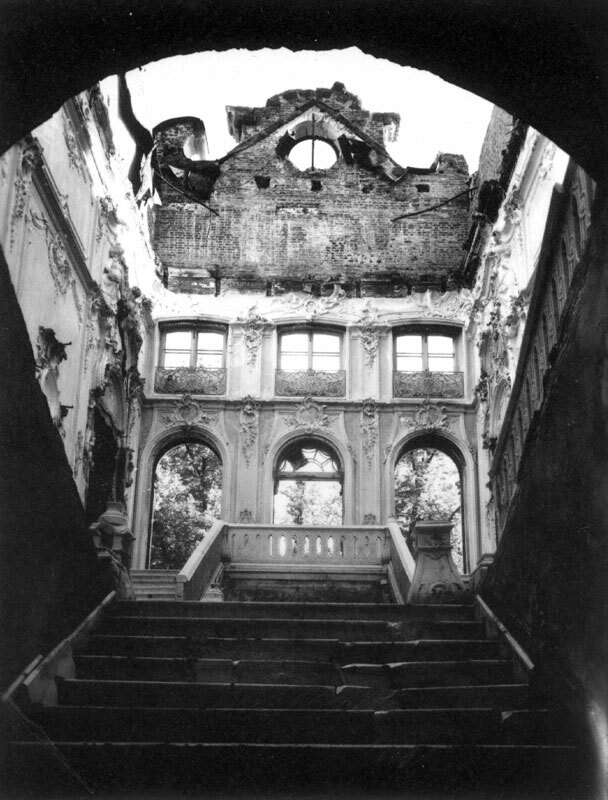 Now in its place is Grand staircase and coming to her chambers of the Palace. 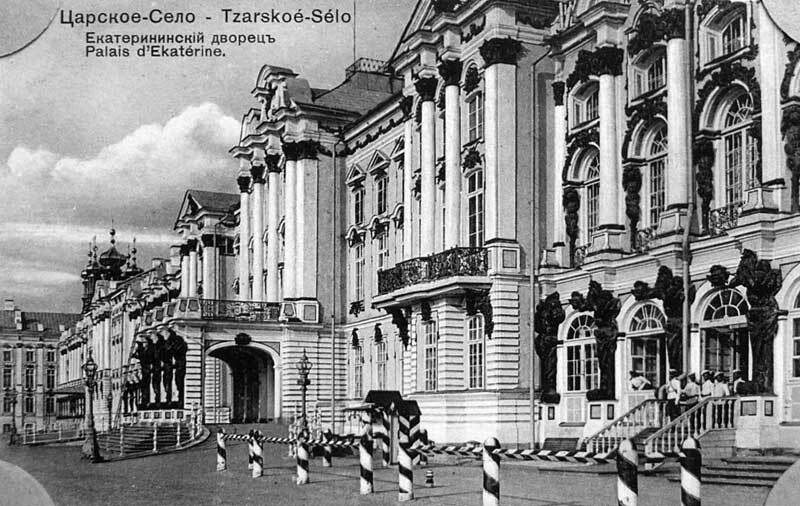 Simultaneously with the Palace, on its axis, laid regular Novi sad, who then the square from the Palace to the recess near The Upper bath. In 1724 finish chambers in the favorite of Peter the Dutch style was completed and 9 August 1724 whole yard «pretty feasted here a few days». After the death of Catherine I, Tsarskoe Selo estate passed to the future Empress Elizabeth Petrovna. When it Tsarskoe Selo it has become one of the main Imperial summer residences, where great attention was paid to construction. 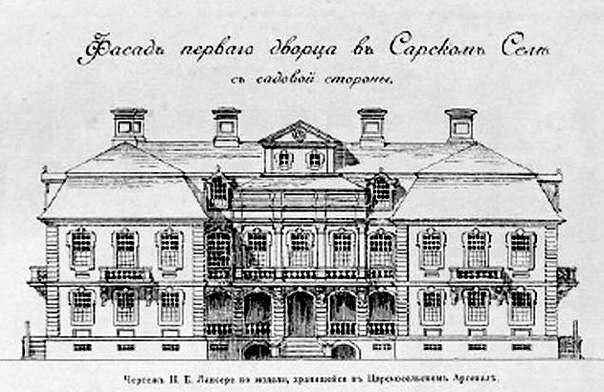 The extension of the Palace began according to the projectarchitect Zemtsov, but was suspended in connection with his death. 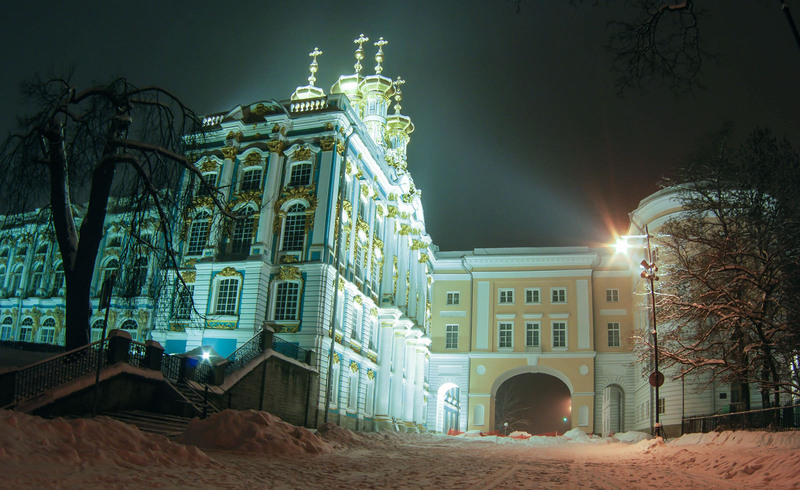 Replaced him architects Kvason and Schevakinskiy, from 1744 to 1762 and 1990s, expanded «stone house» and built new outbuildings. 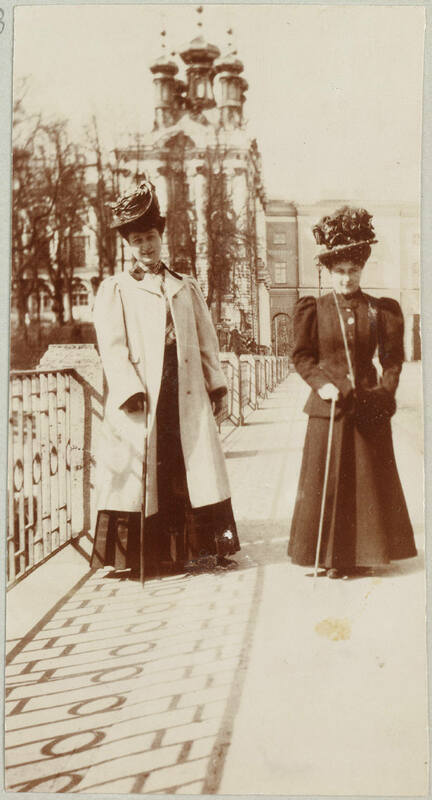 Among themselves they were connected by galleries with hanging gardens. On the flanks of the building was the Palace Church and greenhouse wing with a Grand staircase from the Western side. 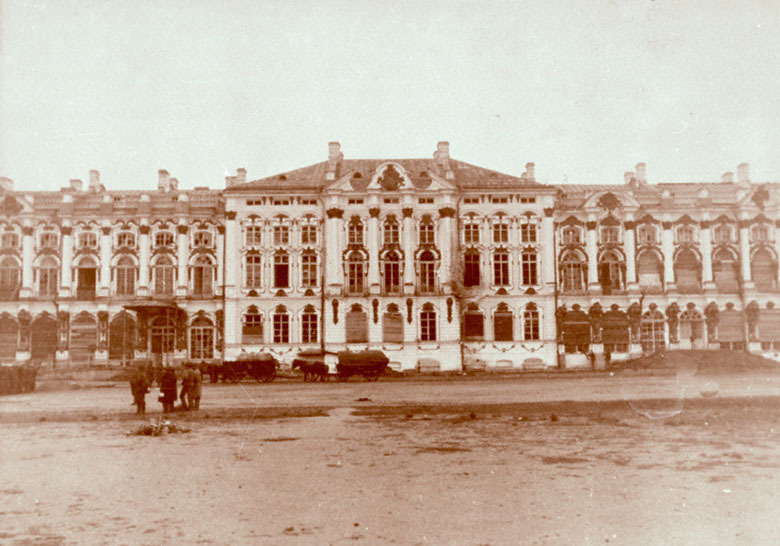 In front of the main facade was constructed a vast courtyard with surrounding his one-storey office wings. Suddenly, by the highest command, from 1752 to 1756 almost finished building began to rebuild the project Francesco Bartolomeo Rastrelli, appointed chief architect. 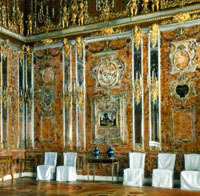 He is the author of rich decoration of the Palace in the magnificent Elizabethan Baroque with an abundance of gilded details. 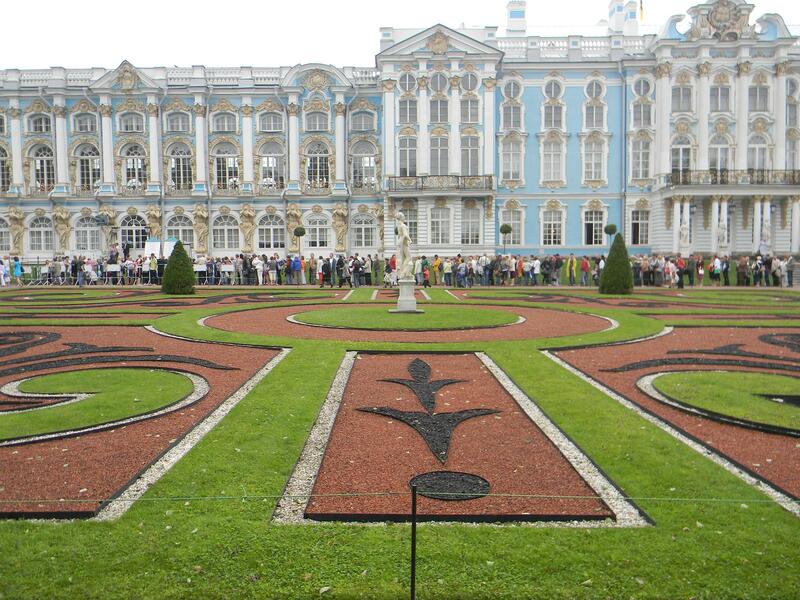 The Palace became a three-storey, spreading over the whole width of the regular garden. 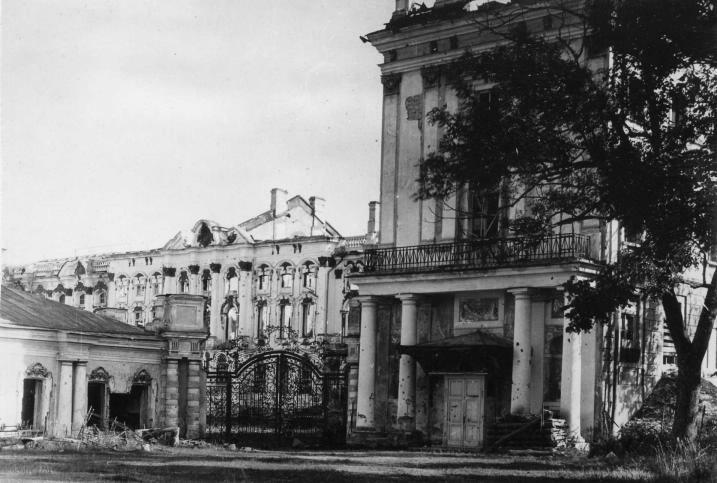 F.-B.Rastrelli partly rebuilt and the service wings, connecting with each other and the Palace wrought iron fence with three pairs of gates. 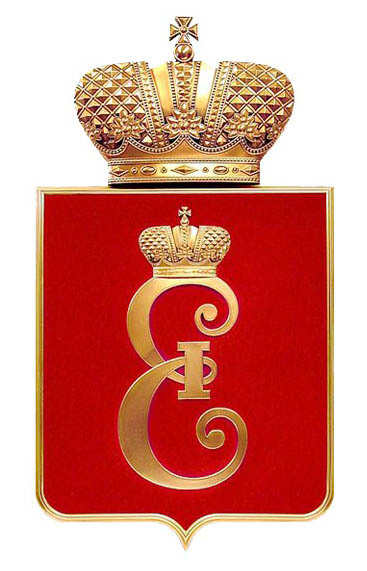 The main gate of the abundance of gold called «Gold» decorated the two-headed eagle and the monogram of the Empress. 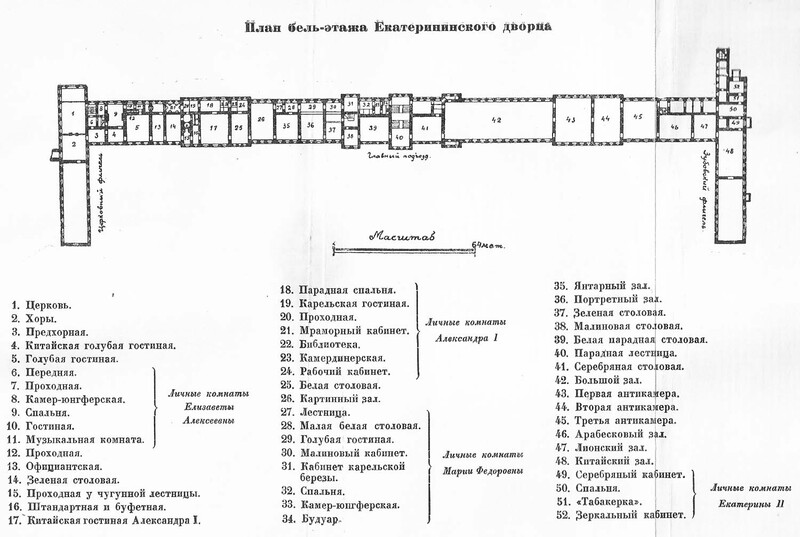 Upper orchard and the light gilded galleries existed until 1773, when they were rebuilt Neyelov in the front room. 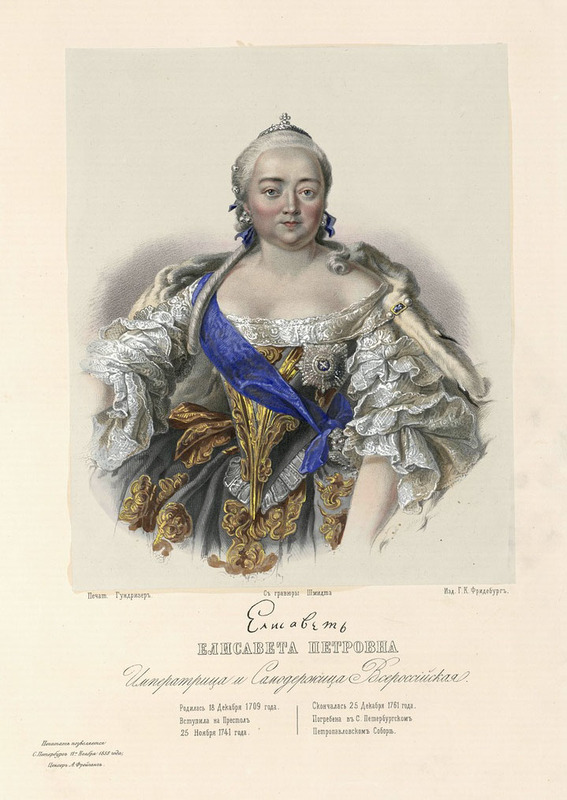 Catherine II made a significant contribution to the shaping of the current appearance of the Palace. 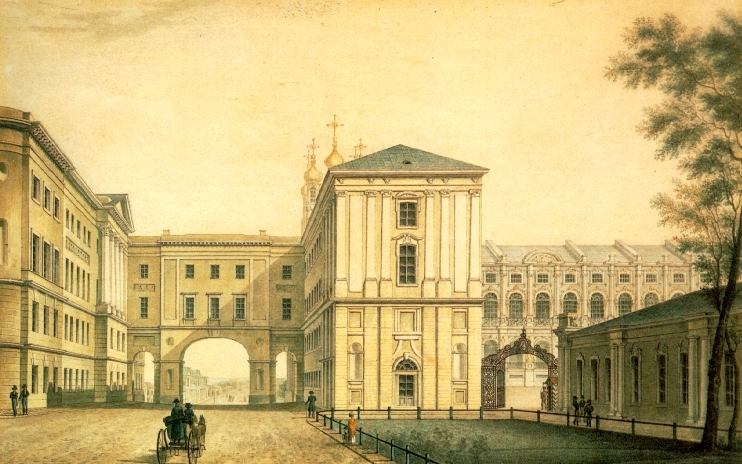 If it were built two lateral wings, the Palace and the service wings were deprived of the decorations on the roofs, the Grand staircase was moved to the center of the Palace, added porches, modified forms of Church domes and destroyed the dome with a star above the South-Western wing of the Palace, disappeared screaming gold and white glossy roof... All proportions changed, but despite this, especially in bright sunlight, the Palace produces a fascinating experience. 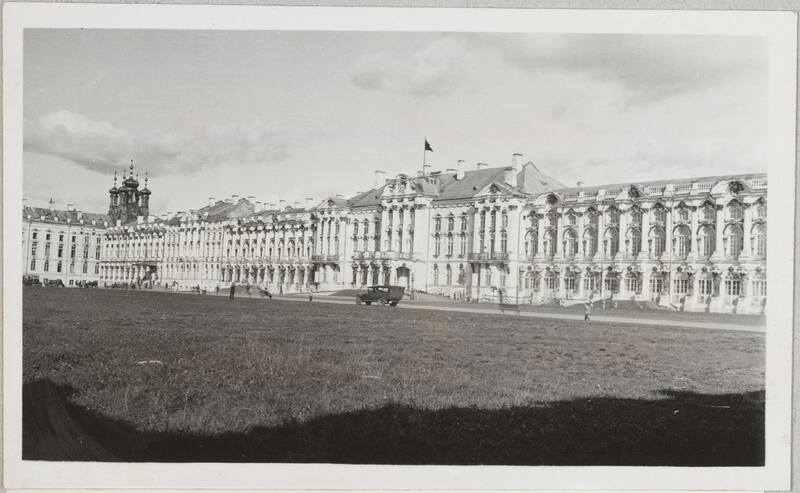 After the nationalization of the Imperial property in 1918, on the basis of the Catherine Palace and Park ensemble of the Museum was organized, now called the state Museum «Tsarskoye Selo». 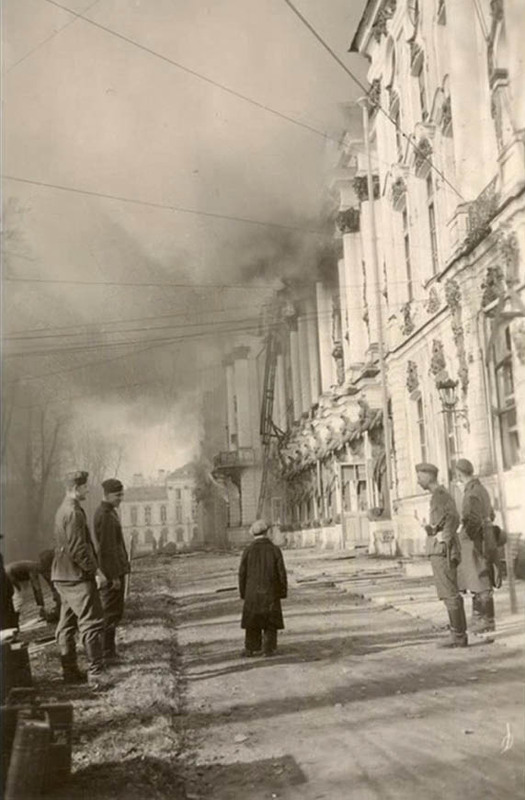 During the great Patriotic war the town of Pushkin appeared in the zone of occupation. 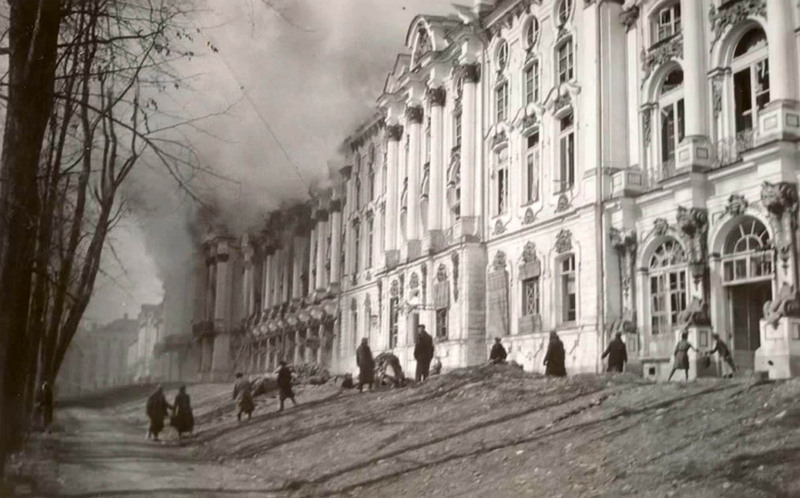 Despite the prepared plan and heroic efforts of the remaining workers of the Museum, evacuated was only the fourth part of the funds. 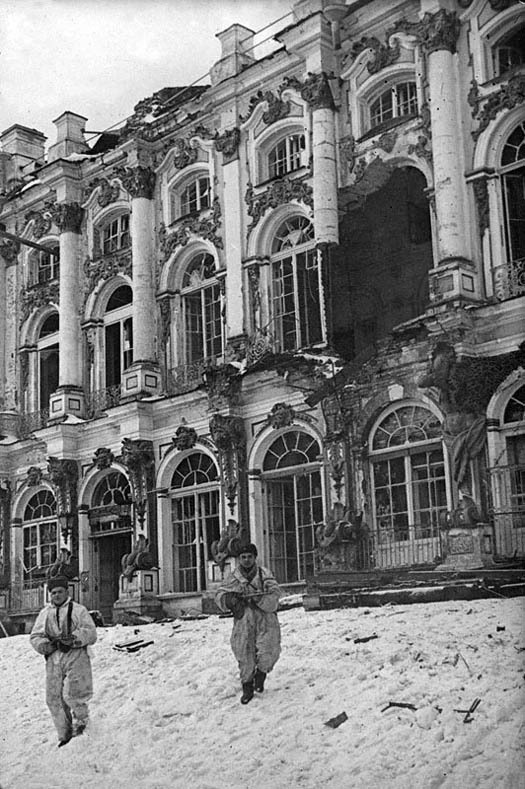 Tried to evacuate and the famous Amber room, but test removing narrow panels showed that no significant damage to dismantle it will not work. 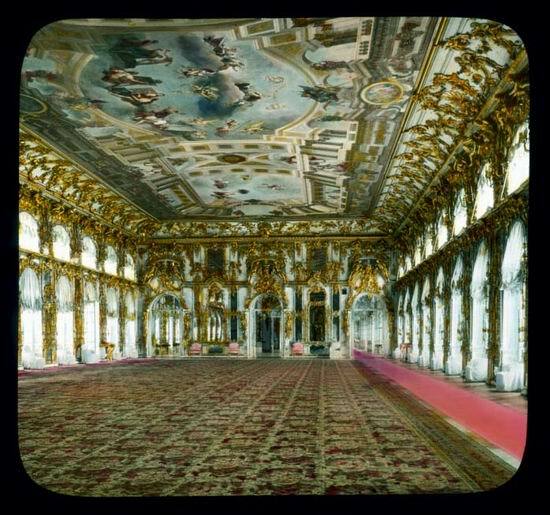 So the decision was made to preserve the Amber room from damage which appeared to be erroneous. 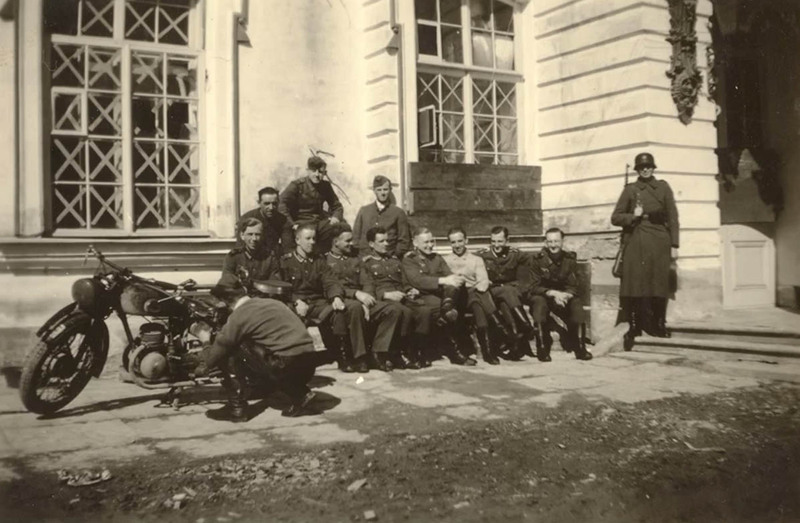 After the occupation of the city by the Germans, in the Catherine Palace, in the personal apartments of Alexander II is located Gestapo, in the basement of the Palace, a prison. The bottom floor was transformed into a huge garage, Palace Church in the Parking lot and shop for motorcycle and Church domes were placed vantage point. 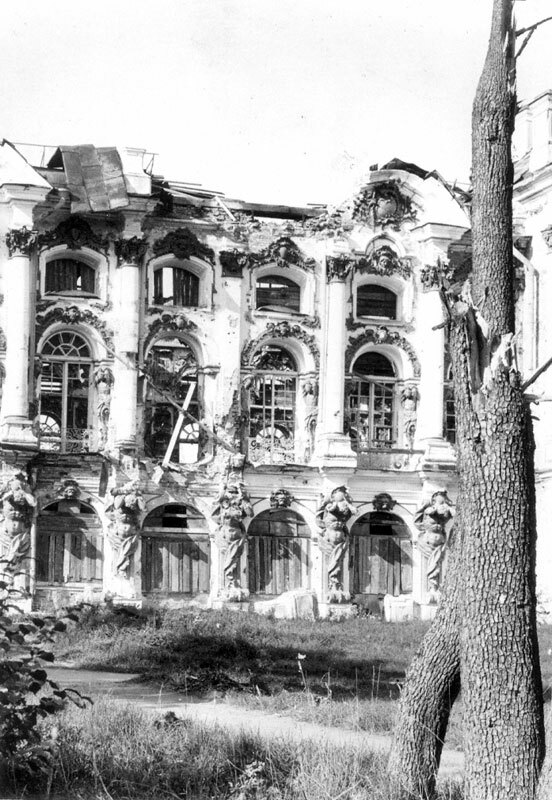 Catherine Palace has suffered considerable damage from bombing and fire, suffered the most Central part of the Palace with a Large hall. 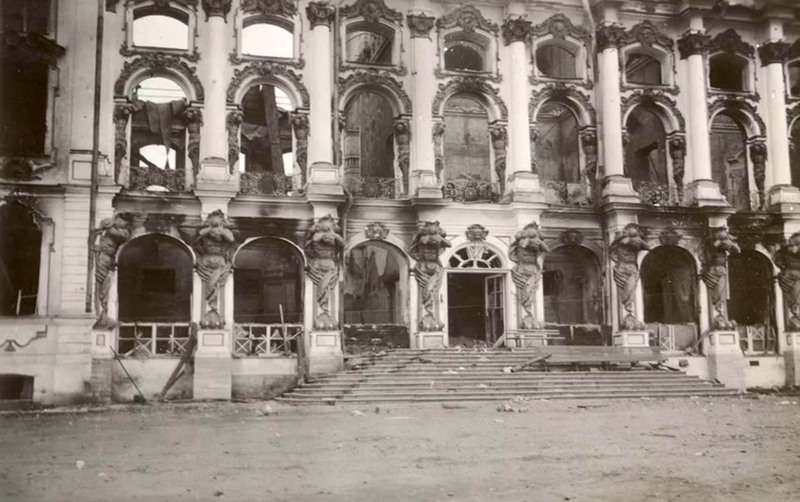 The Palace suffered so much that after the war was planned initially even not be restored and adapted for recreation. 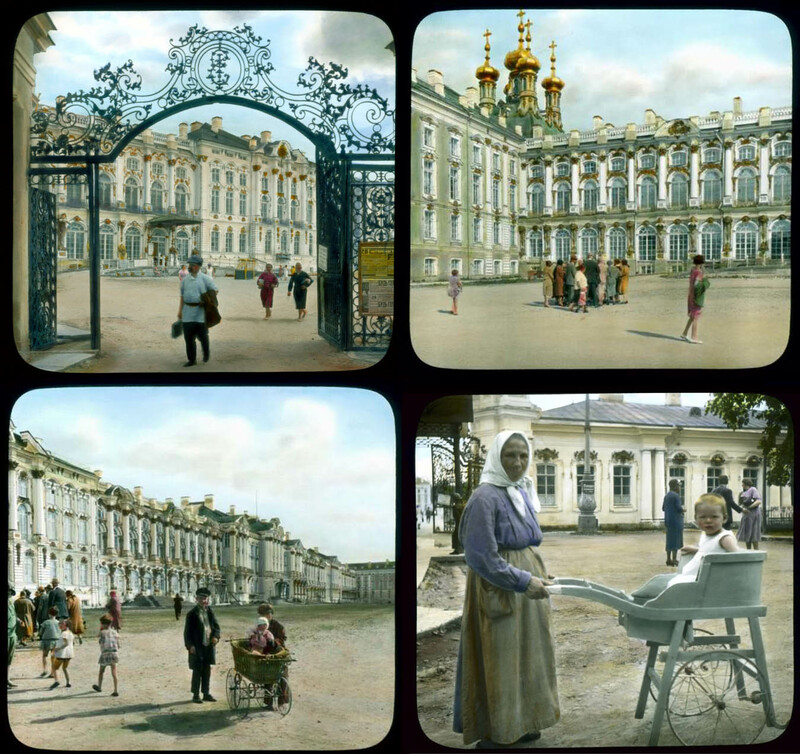 The first stage of the restoration of the Palace was carried out in 1957-1980, the Skill of the restorers have revived the main features of the former splendour of the Imperial residence, and to the 300 anniversary of Petersburg was restored and the lost Amber room. Unfortunately for review opened yet not allinteriors of the Palace, restoration is the process is slow and will take more than one year. from 10 to 18 hours; offices open until 5pm. On Mondays, from 10:00 to 21:00 (cash till 20:00). From 10:00 to 12:00 and 16:00 to 19:00 - ONLY tourist groups upon prior reservation. From 12:00 to 16:00 - self visitors. 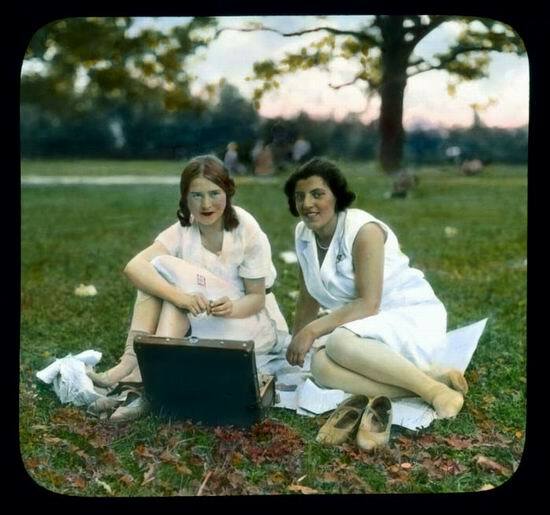 Weekend days: Tuesday (throughout the year) and the last Monday of the month (except for the period from may to September). 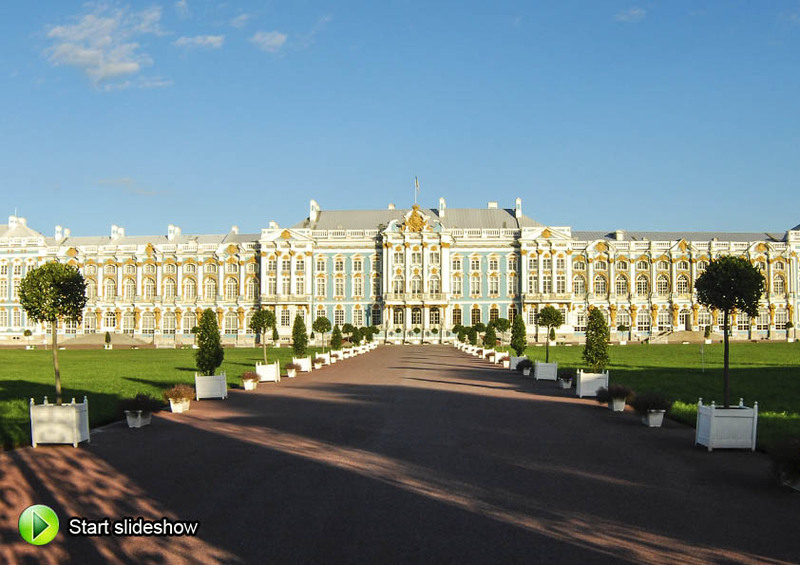 The cost of tickets in the Catherine Palace (with visiting of the Amber room and tour service) – Rub 1100. 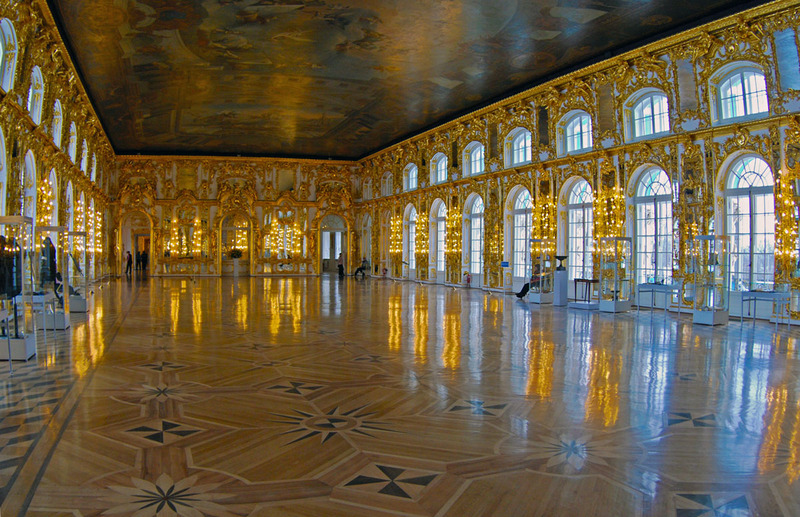 It is worth noting that the Amber room is one of the halls of the Palace and past her not get through at all desire, but the pictures in it for vague reasons, is strictly forbidden. 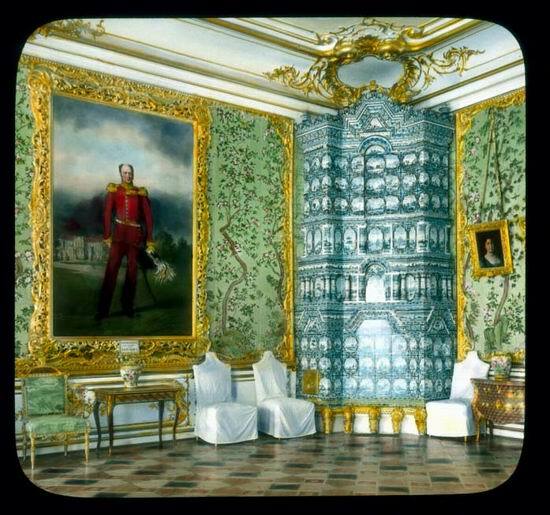 When visiting the Catherine Palace, in the «high season» will have to pay for entrance to the Catherine Park -Rub 120. 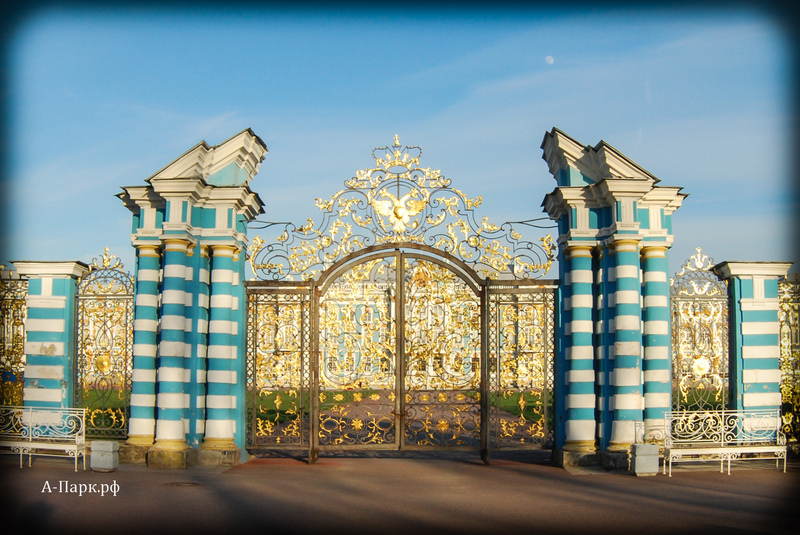 From may to October the entrance to the Catherine Park from 9:00 to 18:00 is paid, from 18:00 to 21:00 and in winter - the entry is free. 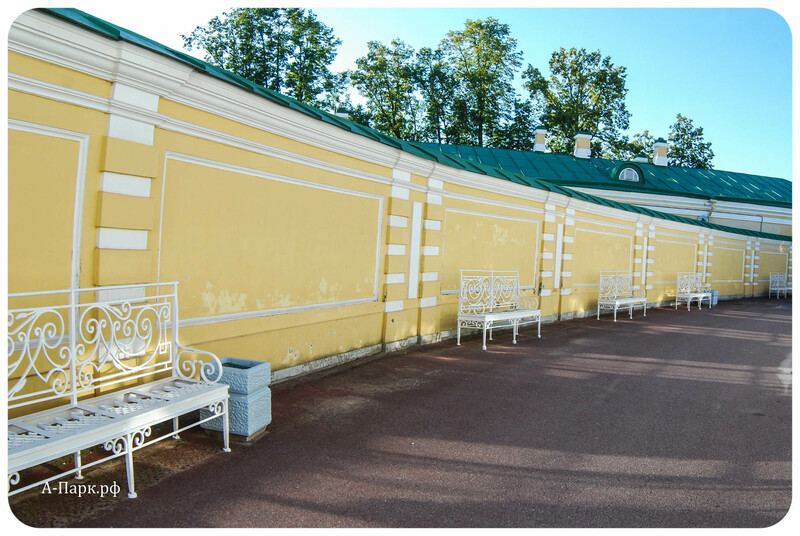 Cost of visiting of the Catherine Park pavilions stated on the relevant page of the website and on the website of the state Museum "Tsarskoye Selo".